Get set to take on everything from a downpour to a deluge. 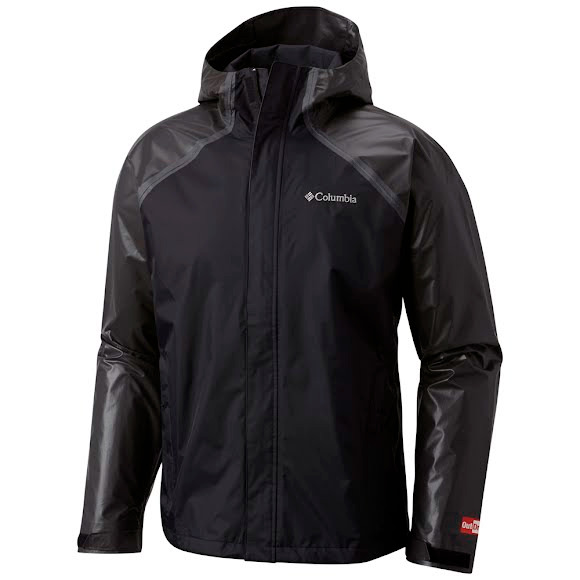 Waterproof, breathable, and fully seam-sealed, the Columbia OutDry™ Hybrid Jacket offers serious protection against the elements. The adjustable hood, drawcord hem, zip pockets, and interior security pocket keep you and your stuff protected on your adventures. OutDry™ Extreme is the first ever waterproof and breathable fabric technology constructed with a waterproof layer on the outside and soft, wicking fabric inside. Traditional raingear uses interior waterproof membranes which don&apos;t allow for air flow, and water-repellent coating that degrades over time. With OutDry™ Extreme, the rugged exterior is an incredibly water-tight membrane with millions of microscopic perforations that let water vapor escape through a wicking membrane directly fused to the shell.